Cost: Travel to/from the event will be the responsibility of the high school. A light breakfast and lunch will be provided by GE. 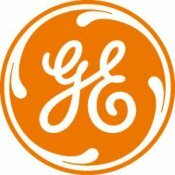 Engineering Day is an annual event where GE Transportation sets aside a day to host local high school juniors and seniors, who are (or might be) interested in engineering. Students will gain insight into the principles of engineering and how to pursue a career in engineering. The event consists of speakers from GE as well as friendly engineering competitions. The students will gain hands-on design experience, be exposed to manufacturing practices, and learn how to work on integrated teams that will take a product from initial concept to final product testing. If you are a junior or senior at any of the following high schools, please contact your principal to inquire about participating: Cathedral Prep, Central Tech, Clymer Central HS, Corry Area HS, East HS, Fairview HS, Fort LeBeouf HS, General McLane HS, Girard HS, Harborcreek HS, Iroquois HS, McDowell Senior HS, Mercyhurst Prep, North East HS, Northwestern HS, Northwest PA Collegiate Academy, Seneca HS, Sherman Central, Strong Vincent HS, Villa Maria Academy, Union City Area HS.